Oklahoma Sooner head coach Enos Semore spoke after that May 1986 game about his pitchers, but he couldn't have been talking about reliever Dera Clark. "We were getting in trouble a lot," Semore told The Associated Press after his Sooners won. "So we just didn't do a good job pitching." Clark, though, was the exception. Coming on in the ninth inning, with the bases loaded and nobody out, Clark proceeded to get a strike out, then a double play, saving the game for the Sooners. By 1987, Clark was with the Royals, starting a professional career that spanned a decade. Clark, though, wasn't able to get a chance to save a game in the majors, never getting to the majors. Clark signed with the Royals in 1987 out of Oklahoma. He played that first season in the rookie Gulf Coast League, posting a 2.24 ERA in 21 relief outings. Clark moved to single-A Baseball City, getting into 34 games, with a 2.71 ERA. He made AA Memphis in 1989, getting 13 starts, with a 4.40 ERA. Going into 1990, Clark played that spring, taking a loss in an early April game. Clark, though, played well enough to make AAA Omaha. At Omaha, Clark moved to full-time starting, starting 17 games, going 8-3, with a 3.73 ERA. Clark returned to Omaha for 1991 for another 23 starts and a 6-9 record. For 1992, though, Clark's playing time was limited, getting five apparent rehab outings back in rookie and A-ball. He also got nine starts at Omaha, going 1-6, with a 7.95 ERA. 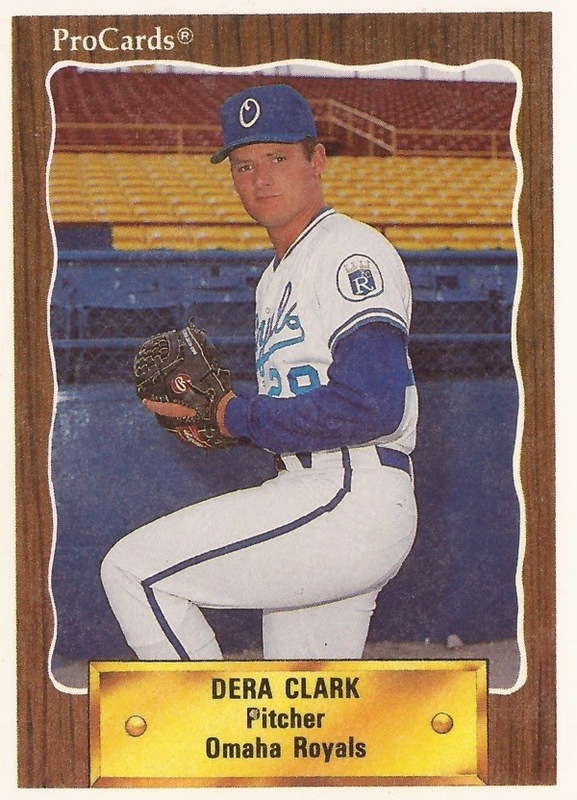 Clark returned to relief work and Omaha in 1993, getting 51 outings there. He then moved to the Braves for just eight outings at AAA Richmond in 1994. Clark finished out his career with two seasons in the Padres organization at AA Memphis, ending his career short of the majors.